 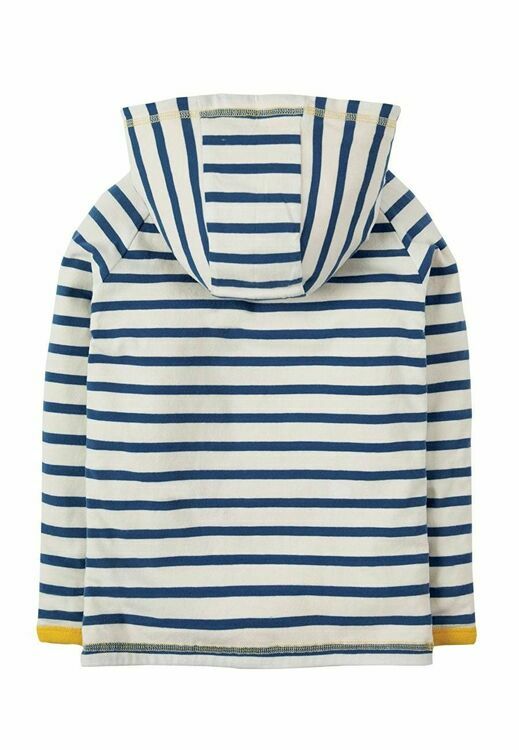 A great summer hooded top made in a really soft peached Organic Cotton Single Jersey. 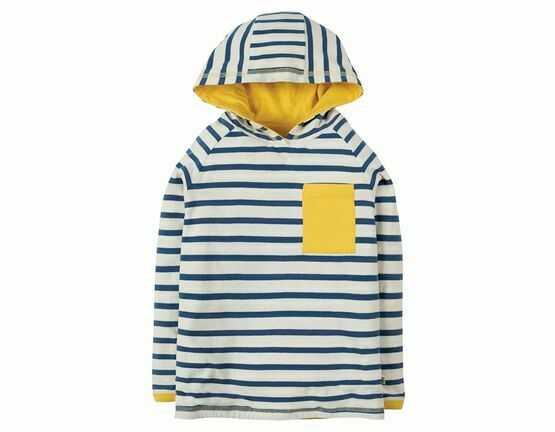 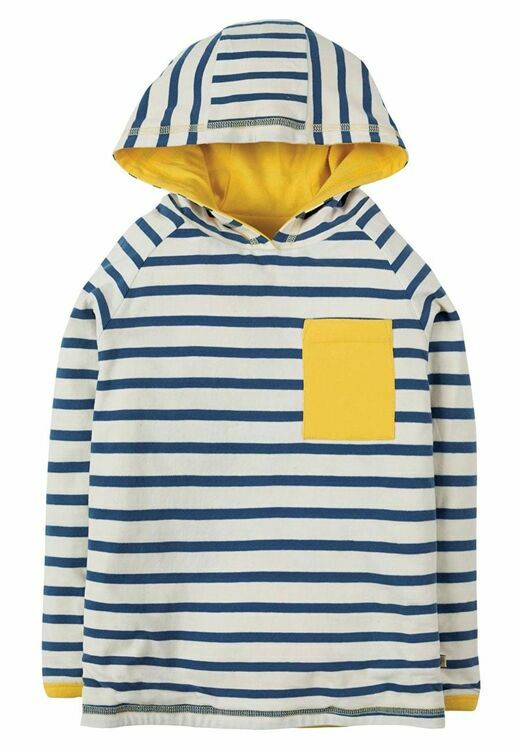 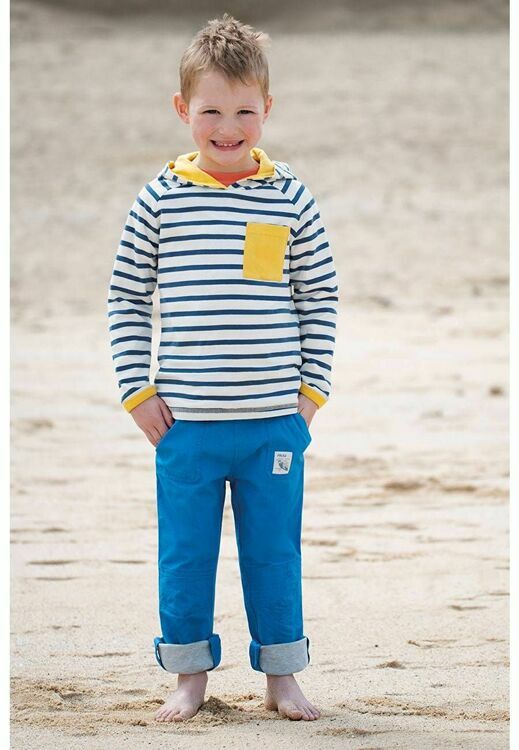 The classic Breton striped top is fully lined in yellow and has a contrasting patch pocket on the front. 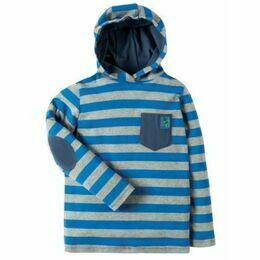 This long-sleeved Campfire Hooded Top is both lightweight and super soft and perfect for keeping warm on chillier days.